Obituary for Bruce H. Strasburg | Rhoney Funeral Home, Inc.
Bruce Strasburg, of Niagara Falls, NY, passed away Saturday, January 12, 2019, in Niagara Falls Memorial Medical Center. He was born in Niagara Falls, NY, on July 27, 1950, the son of the late Robert and Ann [Hecker] Strasburg. Mr. Strasburg enjoyed woodworking and gardening. He will be remembered as a kind and loving person by all of those who knew him. 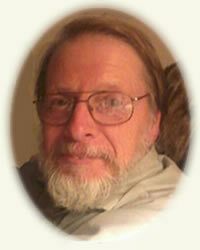 He is survived by his wife of 41 years Charlene [Yelverton] Strasburg, two sons Justin V. and Joshua I. (Christina) Strasburg, two grandchildren Tegan and Griffin, a brother Dwight (Mary) Strasburg and a sister Janice (Thomas) Brewer, also many nieces and nephews.